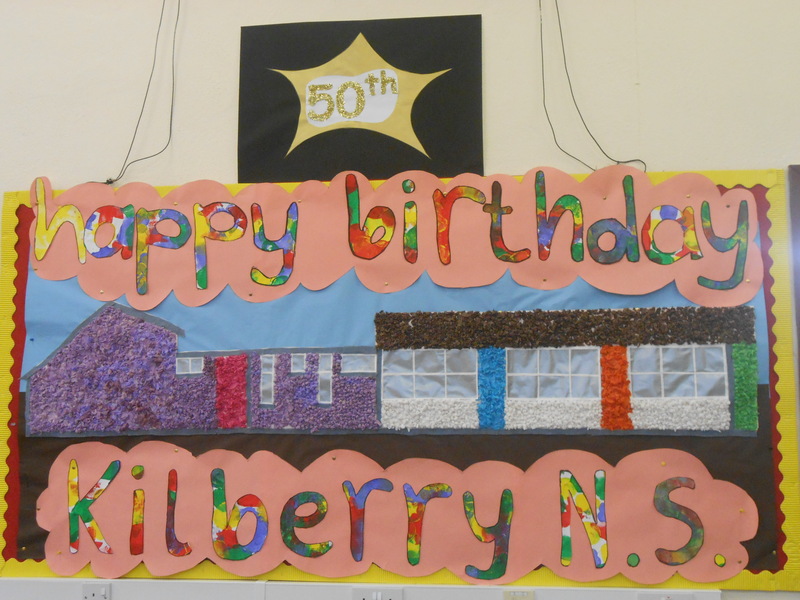 On Thursday 26th and Friday 27th November last, Kilberry National School celebrated 50 years in our new school building. This was a momentous occasion for staff, pupils and past pupils alike. The school was opened up both days from noon for past pupils and members of the local community to visit. 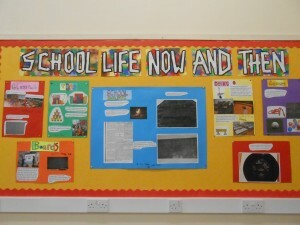 The whole school community were busy for weeks compiling artwork and displays which included photographs from school years gone by. The children entertained everybody with music, songs and poems from 1965 with ‘Echoes from the Past’, our theme. Each class put together a selection of artwork, stories and photographs to add to our time capsule, which was formally closed on Friday. Principal, Mrs.Dempsey and Deputy Principal, Mrs. Prendergast cut the celebratory cake! Happy Anniversary Kilberry N.S. 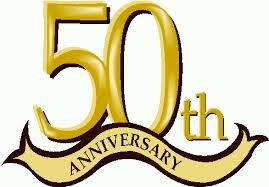 Here’s to another 50 years! Our wonderful Parent’s Council were, as always, on hand to provide the refreshments, and the atmosphere was one of merriment and enjoyment as even more stories and memories from the past 50 years were shared by everyone over a cup of tea and some cake! 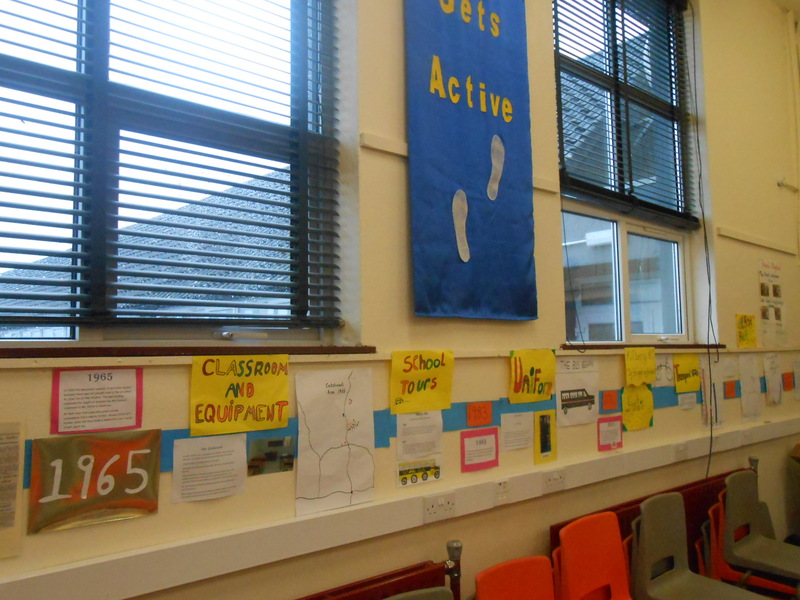 The children have been busy over the past few weeks researching the school’s history with help from parents and grandparents and they have put together some wonderful displays and projects for the occasion. Junior and Senior Infants created a beautiful banner of the school building. Junior and Senior Infants looked at school life today and created a beautiful banner of the school building for the hall as well as examining School Life as it is today, while First Class looked at school life in the past and compared it with school now. They looked at the changes in the school building, games that were played and toys that children had back in 1965. First Class created this amazing display on the comparisons between School Life now and in the past. Mrs. Prendergast’s class conducted a survey of their parents and grandparents and put together a lovely display of memories from the past. 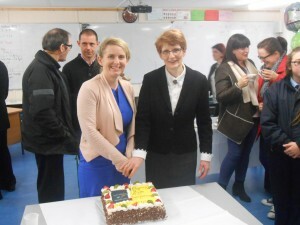 They found out the songs and poems that children learned back through the years, teachers that have been part of the school since 1965, as well as the many changes that have taken place. 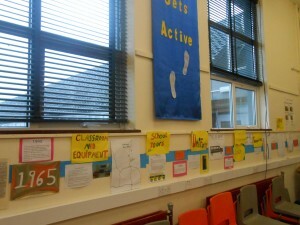 Second and Third Class did a beautiful project entitled ‘School Memories’. Ms. Duffy’s class looked at life in 1965, clothes that were worn, music and popular culture. These were reflected in their projects on ‘Life in 1960′s Ireland’. 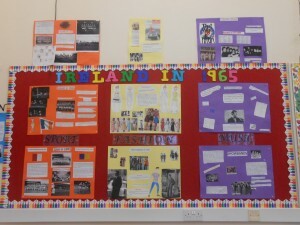 Ms. Duffy’s class display on Life in Ireland in 1965. Mr. O’Sullivan’s class were busy researching the history of the school, including the history of the school building, teachers and past principals of the school, as well as changes that have taken place in Kilberry N.S. since 1887. 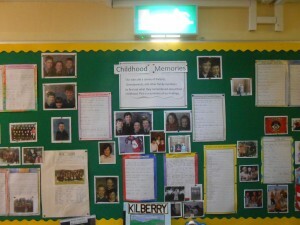 Fifth and Sixth Class compiled a timeline from the opening of Kilberry N.S. in 1887 to the present day. Ms. Browne looked at the history of Cumann na mBunscol in the school over the past 50 years and the school teams through the decades, starting with the 1981 winning team, many of whom have children attending Kilberry N.S. at present. 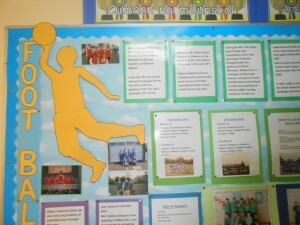 ‘Reeling in the Years’ Kilberry’s Sporting Heroes! We were delighted that so many members of the school and wider community could join us for our 50th anniversary celebrations. 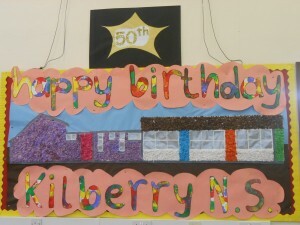 Kilberry N.S. has been, and continues to be an integral part of the local community. It has been an important part of many family histories and a place of shared memories. We take this opportunity to thank everyone for helping to make our school the wonderful place that it is. 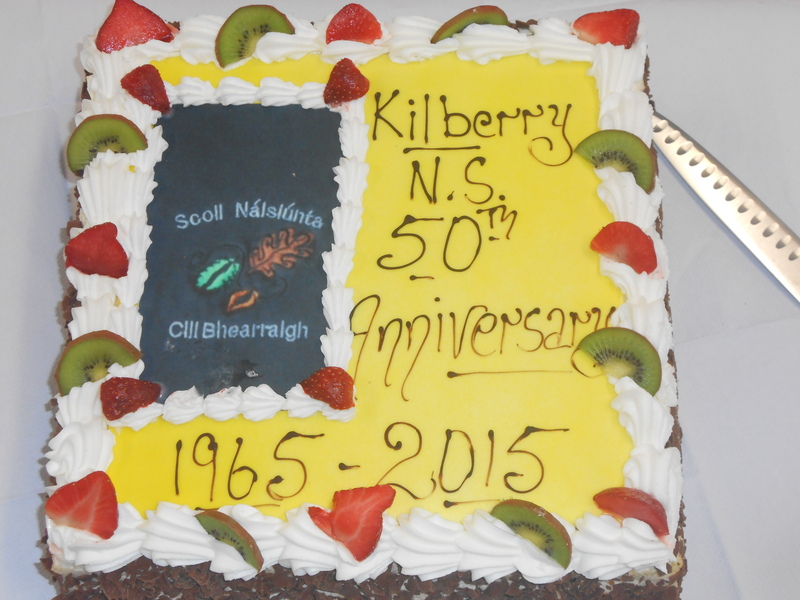 Here is to the next 50 years……..
Parents, Grandparents and Past Pupils gather to reminisce.